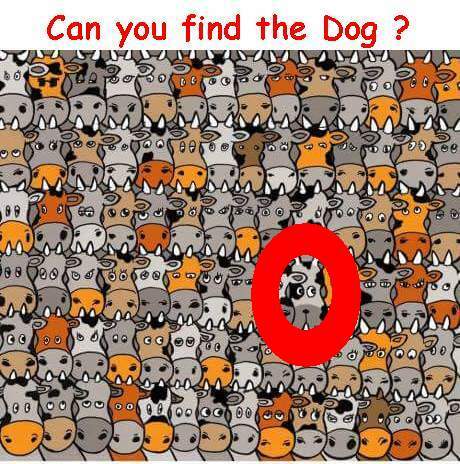 Can you find the Dog ? 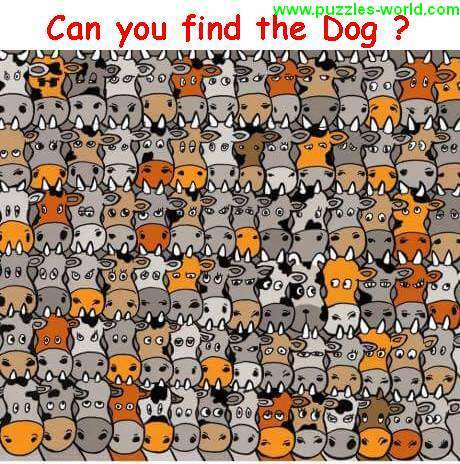 There are more than 50 Cows in the image above but there is only 1 Dog hidden among the cows. Share the image on Facebook , Whatsapp and other social media and have fun ! The Dog is Shown here.